Lindsey Buckingham delivered his first public comments on his recent split from Fleetwood Mac during a political fundraising event in California on May 11, and video from the event has surfaced online. Medium reports the guitarist spoke about the situation between songs at an evening in Los Feliz, CA supporting environmental attorney and Democratic candidate Mike Levin, who is seeking election to the U.S. House to represent the 49th Congressional District of California. “It’s been an interesting time on a lot of levels,” Buckingham told the crowd. 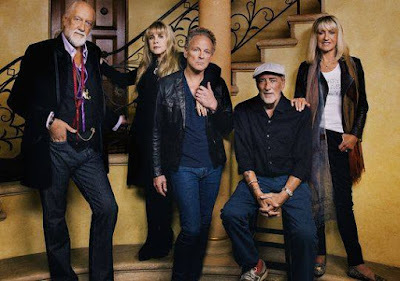 “For me, personally, probably some of you know that for the last three months I have sadly taken leave of my band of 43 years, Fleetwood Mac. This was not something that was really my doing or my choice. “I think what you would say is that there were factions within the band that had lost their perspective [a female fan shouts, ‘F — k Stevie Nicks!,’ prompting Buckingham to raise his hand]. Well, it doesn’t really matter. The point is that they’d lost their perspective. In Buckingham’s place, Fleetwood Mac have brought in Mike Campbell of Tom Petty & The Heartbreakers and Neil Finn of Crowded House to handle guitar duties for an extensive North American tour that will begin in Tulsa, OK on October 3, with shows already scheduled into the spring of 2019.